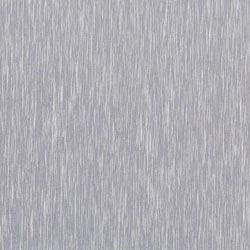 With rich industry experience and knowledge, we are providing a wide assortment of Metal Laminates. The offered laminates are manufactured using latest technology and best quality wood under the supervision of our vendor’s skilled professionals. This laminates is used for manufacturing commercial furniture and doors. We provide this laminate to our clients in different sizes and other related specifications as per their needs. Note: Prices are negotiable as per design,length and quality of the product. Established in the year 2007, we, Chanel Ply is the partnership based company that is situated at Hyderabad in Telangana, India. We are the most eminent trader and supplier of Decorative Laminates, MDF Board, Wall Panel, Shuttering Plywood, Flush Door, Wood Veneers, Wooden Planks, Wooden Mosaic, Molded Door and many more. These products are precisely designed and manufactured by experienced and skilled professionals of our vendors using high grade material and latest technology. Also, our products are highly demanded, recommended and appreciated by customers for their fine finishing, dimensional accuracy, rigidness, reliability, affordability, easy installation, superior quality and many other attributes. We are trader of Solid Ply (Gurjan Core), Green Ply, Hillwud Ply, Recon, Pragati plywood, Harwo Plywood, Contract Plywood and many more. Our range of Plywood is known for quality, chemical resistance, stain resistance, strength, thickness and terminate resistant.